Renee Vanderwerken has dedicated her life to horses, and was riding at her parent’s Doornhof Farm before she could walk. Raised by strict horse people, Renee’s horse philosophy is deep in her bones. Her passion is to help horses and riders reach success. Her focus on bringing harmony to the horse and rider stems from her intuition about what problem needs to be solved. Renee uses gentle, consistent and correct approaches, harsh training methods are never used at Shanderhof. Renee has competed successfully throughout her life, from Pony Club through FEI Intermediare I with her talents currently focused on training horses and riders. She teaches lessons to every level of rider, from the beginner to professional; from the child to the adult. Her students rave about her training talents (See the Testimonials page), with a focus on positive reinforcement, gentle corrections and a genuine commitment to safety of the horse and rider. Understanding the busy life demands of her clients, Renee ensures a training and conditioning program that maintain the horses’ effectiveness and calm temperament. This approach keeps the horses focused and the riders working towards their individual goals. When an exercise doesn’t work as expected, she looks to the horse for her answers, and tries another method from her deep knowledge and experience base. To the rider, she is able to communicate in words, images and feelings that can be translated into movement. Fascinated by how the rider’s body mechanics influence the horses’ own movements, she is always striving to foster clear communications between horse and rider. She is the horse’s champion and the rider’s cheerleader. Both horses and riders are fortunate to be in Renee’s care. A self-professed equine matchmaker, Renee has a passion for finding her students the perfect horse for their abilities, aspirations and goals. Whether it’s dressage or jumping, Renee can fit the horse to the rider, and successfully train them both. 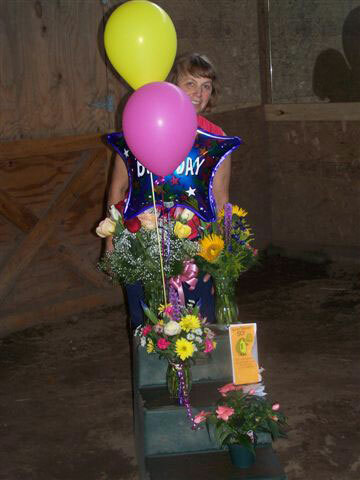 She is active in the local horse community, as the District Commissioner of the Bennington Pony Club. As a Pony Clubber herself, she competed as a B-rated USPC Bennington Pony Club member on Region and National 3-Day Event competitions. She was short listed on the American Young Riders 3-Day Event Team for 3 consecutive years. Renee earned a Degree in Equine Science from Cazenovia College. She studied in Germany with Eugene Whaler where she developed her passion for dressage. She continues her education by training with the USDF and riding with current top dressage professionals such as Pam Goodrich, Rebecca Cowden and Gunner Oostergaart. David harvests our own hay and is Shanderhof Farm’s equipment and operation manager. He is most likely to be found on the farm’s many heavy machinery for maintenance care, farm improvements, and farm chores. David, also a dedicated horseman, has years of horsemanship and riding experience, starting with our own Bennington Pony club. 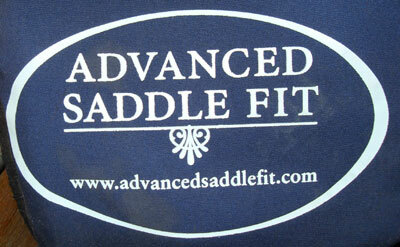 He has over 30 years of equestrian farming, training, commercial shipping, and showing experience. He is the farm’s support system and back bone.